Their orthoscopics might actually be the ones with the most lasting value. Good for planetary work. 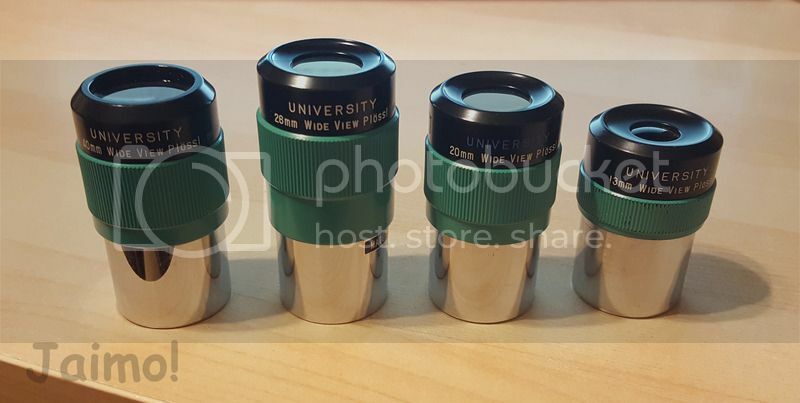 I bought a 25-mm ortho as a keepsake of University Optics. It is excellent. Loc: On far side of moon. Send help. I had three of their UO orthos, and they delivered some of the most memorable moments in my brief planetary observing history. I'm sorry to see them close shop. 1st 1.25" eyepiece bought was their 40mm plossl, just sold it recently for more than I paid for it. You used to be able to build an entire telescope ota from their catalog. Edited by Max Power, 03 June 2017 - 10:13 PM. Sad to see the name go but I've been hunting for UO orthos since I came back after a 15 year hiatus and thankfully I have the whole lot. Wow time has past so fast. I remember visiting his office and bringing a friend with me. Purchased a few things throughout the years. I was happy to introduce to Jan in 1972 a new company......it was Meade. Brought in my 80mm Meade refractor to have Jan convert the .965" draw tube to standard 1.25". Minute later came out with this adapter. Little did we both know Meade would be so successful. University Optics 35 miles or so from my house will always be in my heart when it comes to quality products. Sorry to hear this, a class act! Sad! That company is gone! 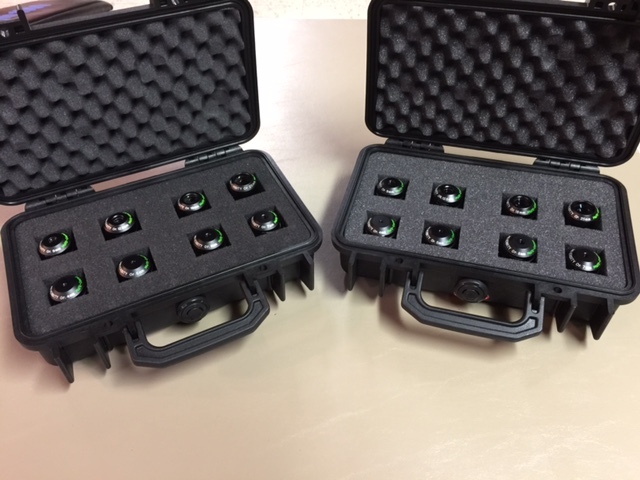 I remember they sell big low power eyepieces. I bought a nice 8X50 scopefinder from University in the late 1970's and I still have it. Nice on my Orion 100mmED f9! Are they still open for business or taking orders on there remaining inventory ? Called number on Web site and no one answers the phone . I wanted to order some of their eyepieces before they sell out .. If anyone knows if they are still excepting orders or how to contact them , please let me know . Always was my favorite Ortho design and always will be. Likewise, I salute UO for customer service and for making available quality, affordable eyepieces. Glad I still have a good assortment of volcano top orthos. Sad to hear this. 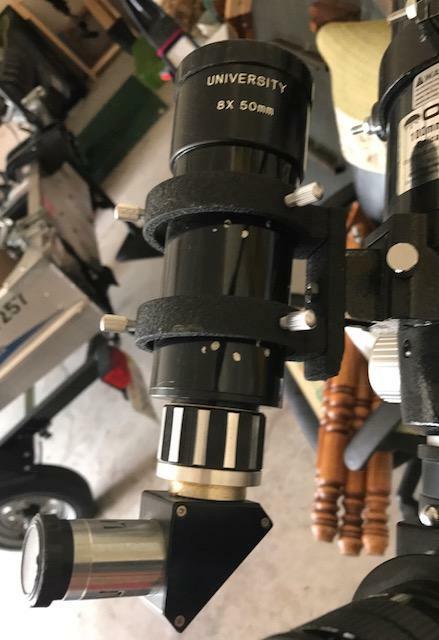 My husband and I have a few of their HD Orthos and they are by far the best planetary eyepieces we've owned or used in almost 50 years of observing. Typically received my orders in 1 day ! Columbus, Ohio not far from Ann Arbor, but still.....AMAZING service . Their ads were also a part of the "classic" S&T and Astronomy magazines, along with Tuthill, MicroSky, Coulter, Parks, and those Celestron ads that tried to sell scopes by having pretty women and Leonard Nimoy pose with orange-tube SCTs. End of more than one aspect of the era. Speaking of old timers, I regret that I never bought anything from Jaegers. Their catalogue was fascinating. They must have gotten their mail in the morning, filled the orders immediately (at least the simple one), and gotten them to UPS before the day's shipments went out. Likewise. Loved their catalogs. Did purchase stuff from Edmunds. About fifteen years ago I bought a 1.25 inch Japan R&P focuser from them it is probably one of the finest of its kind still in circulation. Very nice and smooth. Also picked up a mirror cell. They stopped selling "build your own" stuff not too long after. Used to be you could pick up a 6 inch mirror and everything else you needed to put together a very nice Newt. And of course their orthos typically were the "last stop" people made before leaping into esoteric stuff such as ZAO IIs and so on. Fortunately we still have the RKEs. An UO Ortho eyepiece was the first upgrade I made to the eyepieces that were supplied with the XT10 I bought 13+ years ago. I echo to sentiment regarding their customer service. Sadly another oldie but goodie riding into the sunset. I think Doc Seyfried's wife was also involved in the business. I seem to recall her being with him at Astrofest. I have a recollection of phoning them in the 1980s for some reason and talking with a woman -- I came away with the impression that it was a husband-and-wife business but don't remember whether that was just my guess.